During a 2015 interview for TheNewPotato, Sarah Michelle Gellar can be seen wearing a beautiful Rebecca Taylor Leo Printed Silk Ruffle Dress in black & white. The dress features a rounded neckline, long sleeves, an empire waistline and leopard print. The dress is also made of 100% silk. 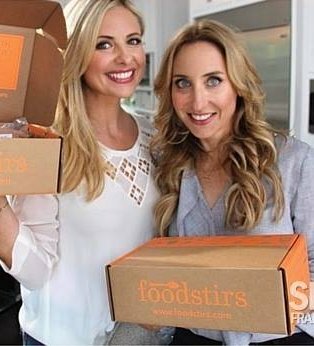 While promoting her new business venture, Foodstirs, Sarah Michelle Gellar was spotted wearing a Rebecca Taylor Long Sleeve Guipure Crepe Top. 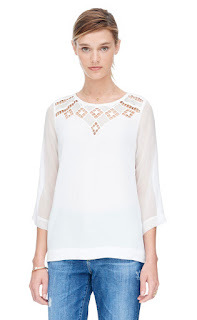 The blouse was worn during a 2015 photoshoot. 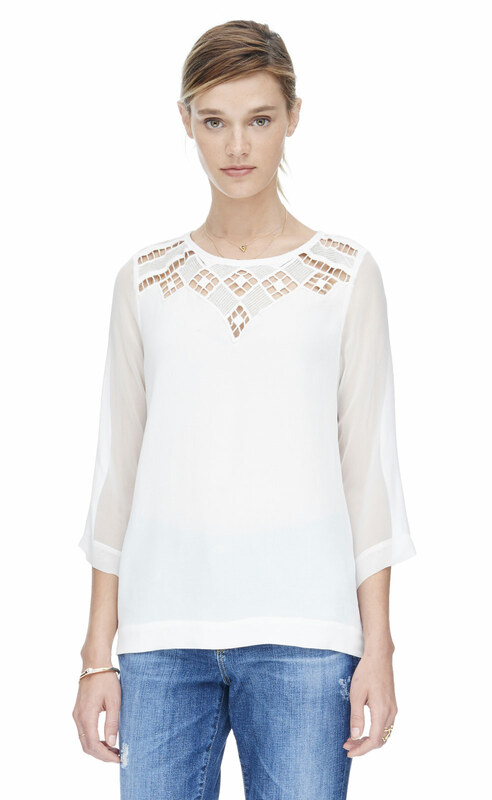 It features sheer sleeves, a detailed neckline and is made of silk. Sarah Michelle Gellar looking fabulous in a Betsey Johnson floral, full length slip dress for a 1997 People Magazine photoshoot. The dress came in many variations. Short, long, babydoll etc. The main difference between the version Sarah wears and the one in the photo is that Sarah's wears the version with the spaghetti straps. Spotted: Buffy's dress from "I Will Remember You"
"I felt your heart beat." I have a rare treat for you guys! 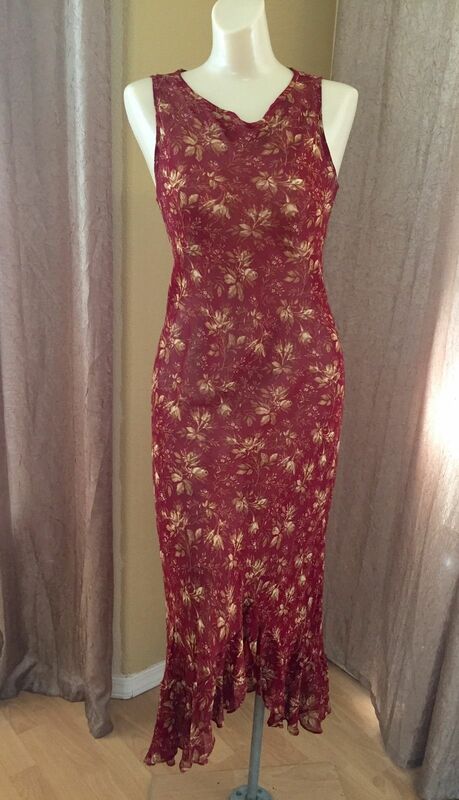 The amazing btvs fan Jink03 has spotted the dress Buffy wore in the season 1 episode 8 of Angel! 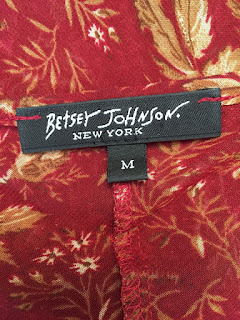 During the teary goodbye, in the episode "I will Remember You", Buffy Summers / Sarah Michelle Gellar can be seen wearing a long, burgundy, rose print dress by Betsey Johnson. 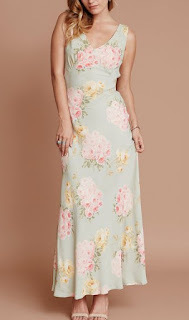 The dress is embellished with gold, floral print, sleeveless, has a cowl neckline and is made of polyester. This dress joins the many other Betsey Johnson fashion pieces, seen on Buffy the Vampire Slayer and now Angel the series. 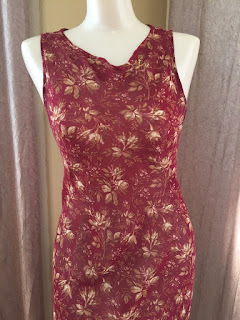 On Nov. 9, 2015, Sarah Michelle Gellar posted an image on her Instagram from a Blogher event in which she was spotted wearing a Rebecca Taylor sleeveless Lurex Dot Dress. 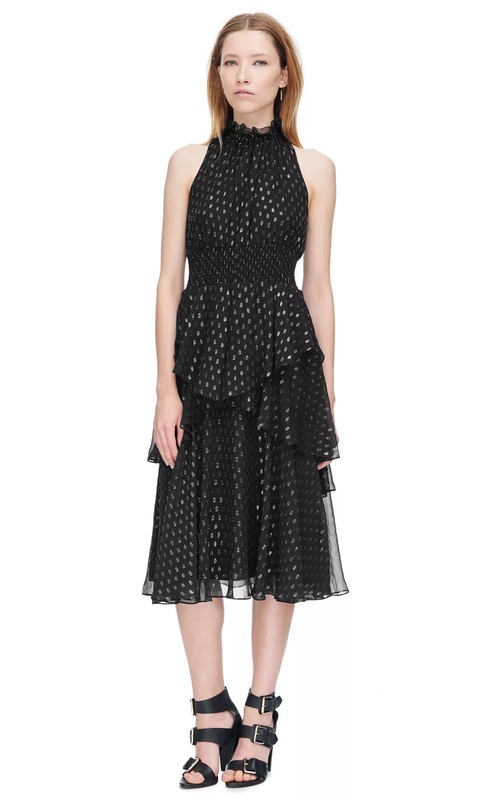 The silk dress features a high neckline and a tiered ruffled hem. 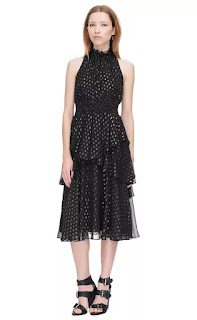 The dress is currently available at Rebecca Taylor, SAKS, and Shopbop. While visiting the Rebecca Taylor showroom, on Oct. 6, 2015, Sarah Michelle Gellar was seen wearing a Rebecca Taylor Leopard Faux Fur Vest. 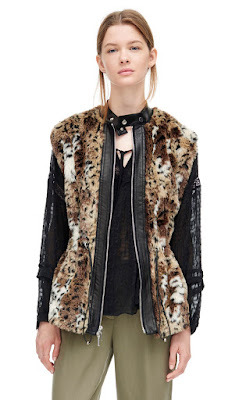 The adorable vest is currently on sale and available at Rebecca Taylor's web site, Neiman Marcus, and Bergdorf Goodman. A blog dedicated to the fashion of True Blood and Buffy the Vampire Slayer on and off the set. Because everyone knows that vampires, werewolves and slayers have the best taste in fashion! Sarah Michelle Gellar, looking fabulous, in a strapless dress by Chloé while shooting Maybelline commercial in 2007. This site is not affiliated with Anna Paquin, Sarah Michelle Gellar, Buffy the Vampire Slayer or True Blood in any way. This blog is an unofficial fansite. Please, do not reproduce any original material without permission from the owner.